When I was 7, I went to see The Little Mermaid at the cinema with my dad and sister. I loved it, of course, except for one bit... the end. I cried my eyes out because I was devastated that Ariel had to leave her dad. And then we were walking down the street afterwards and ran into my arch nemesis, Kerry, and my dad was all 'Don't go and see The Little Mermaid, hahaha!' and then I just cried more because I WAS MORTIFIED. THANKS, DAD. Despite all that, I would probably say that The Little Mermaid is my favourite Disney film, because mermaids are the frigging best. Although when I watched it recently I reached the conclusion that it is to blame for my phobia of sharks, squid – oh yeah, and that little obsession with red hair. Anyway, such is my love for mermaids that I get super excited when I see clothes that emulate them. 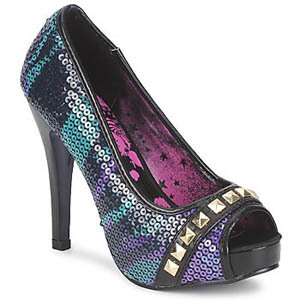 For instance, these shoes which I bought for my birthday party last year – the purple and green sequins make me think of tropical fish scales (and also dragonflies but this post is about mermaids so ssssh). They’re so pretty! They really hurt my feet but they’re so PRETTY! 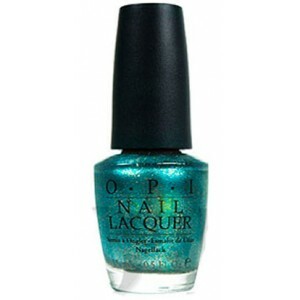 One of my favourite nail polishes is from OPI’s mermaid inspired collection and is called Catch Me In Your Net. It’s the perfect sea-toned shade, equal parts blue and green and oh-so-pretty. *abandons blog post, goes to paint nails* And I've just discovered it's super hard to find these days. Oops. Ebay is your friend, and mine. 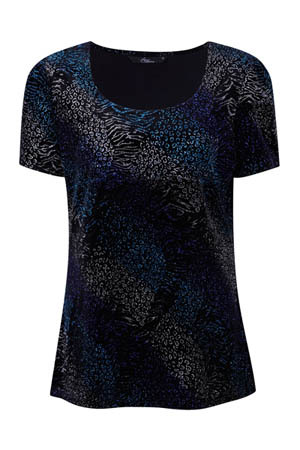 I really love the tones of this rather mermaidy blouse from Bonmarche (I know! But they actually have some lovely stuff and I’ve been shopping lots with my mum lately so they’re on my radar). They’ve got tons of ladies tops for less – this is just £12! I can't miss out this, the most mermaidy dress I have ever found (except for this one). I was about to say that it was not in stock any more but Topshop has it! 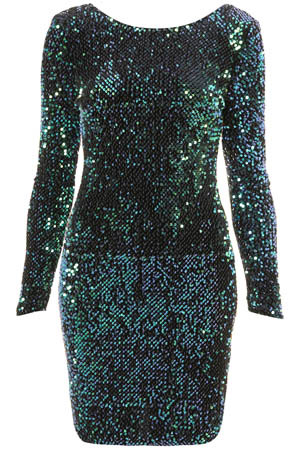 It’s by Motel and if I could pull off bodycon, I would have snapped this up a long time ago. IT’S BEAUTIFUL. Finally, I can’t talk about mermaids though without mentioning one of my favourite bloggers – Zoe, who is an actual real life mermaid! I love her blog, but I’m mostly obsessed with her amazing hair. 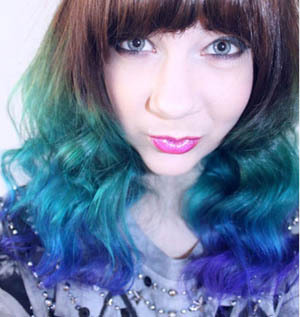 If I wasn’t so committed to this fake redhead business, I could be seriously tempted by a turquoise dipdye. Le sigh. I really like the idea of having a colour dip-dyed but I am also committed to the (fake) redhead cause! I watched it when I was little and since then have wanted to be a mermaid. I can't sing for toffee, but I think it's the reason behind my swimming obsession. Me and my friend used to try and sing songs from the Little Mermaid and get the boys to judge who was best. X Factor style. Ha! One of my favourite Disney films. Totally love this post! I love all things peacocky and iridescent - I'm totally obsessed with duochrome nail polishes that shift between purple and green. I love The Little Mermaid but I was totally traumatised by Ursula! Part of Your World is like the screensaver to my brain. I just sing it when I'm pottering around the house, and then it turns into a massive solo. I remember having a jigsaw of The Little Mermaid when I was younger and it was my favourite thing ever, although Beauty and the Beast is my favourite Disney film, shortly followed by Mulan! I am in love with the sparkling shoes and dress!! Books Are Amazing... February Edition! The sky's the limit, you can reach your goal. Be careful making wishes in the dark. Giveaway: Blinkbox Movies & Popcorn!